-I need to get better at working in Linux. More stick time on straight CLI can’t hurt. I feel like jumping into a full blown IDE might be a bit premature for me and possibly allow me to miss some of the basics as well. Above we built a binary file, and then ran it. 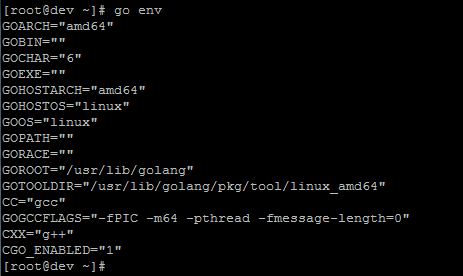 At this point, that’s a totally independent executable that’s not relying on having golang installed to run it. Pretty slick huh? So since things seem to be working, why do we need to change any paths? We wont be able to cover all the details in this post, but suffice to say that ‘build’ and ‘run’ aren’t how you’ll always be compiling code in golang. Golang uses something called ‘workspaces’ that boil down to a defined directory structure. When building code in workspaces, golang needs a path to tell it where to look. This is what we define as the ‘GOPATH’. So let’s define that, and then talk a little bit about workspaces. Just sort of the basics right? VIM can tell me where the opening and closing brackets/braces are but that’s about it. 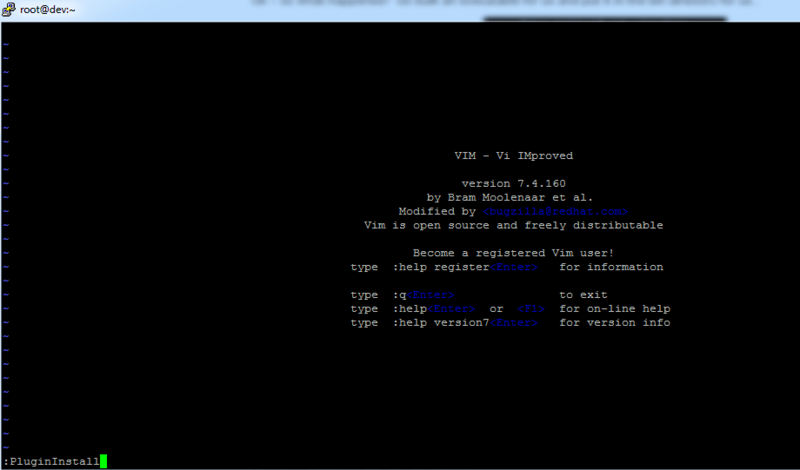 So Im going to install a VIM plugin called ‘vim-go’. 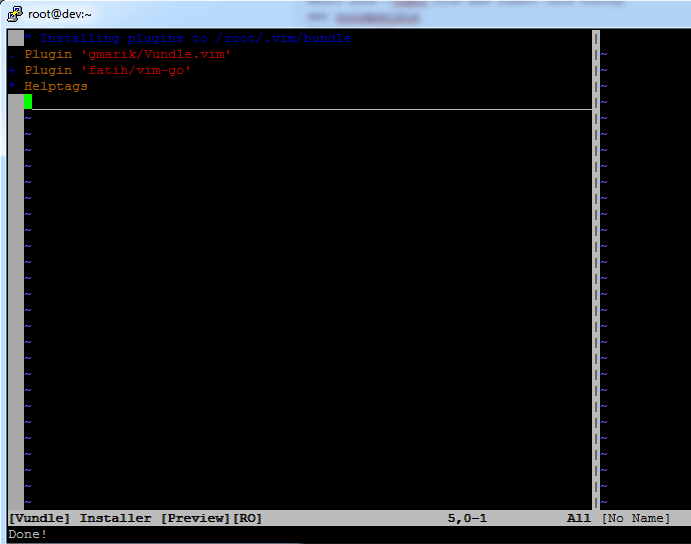 To install the plugin, I’m going to use a VIM plugin manager called ‘Vundle’. Nice! The plugin automatically reformats the code when we write the file. We also get some other cool built in functions but I’ll cover those in greater detail in future posts. So we’re up and running now, next step is to start writing some code and get it out on GitHub. Hopefully more coming soon! – Linux versions don’t really matter (much) if you just are working in “userland” — in this area, Linux distros are basically all alike. It’s when you get into system administration (setup) that all the differences rear their head (as I’m sure you know!) The biggest difference for “regular” users (dev’s) would probably be package managers (RHEL/CentOS/Fedora = ‘yum’, Debian/Ubuntu/Mint = ‘apt-get’ or ‘aptitude’ [a shell around apt-get…]) I find that the latest Ubuntu makes a great dev workstation/laptop OS, but YMMV. Again, thanks for writing this, and looking forward to further posts from you on on Golang! -The file structure you reference makes total sense and I could see how the tie in with the ‘go’ commands would be helpful. I’ll give that a try. It sounds like you’re on Ubunutu. Are you running on a text only CLI or using the GUI? I’d certainly like to try Atom if it’s available in text only CLI mode. Im trying to stay there for now rather than use any GUIs. 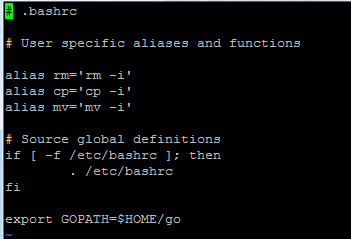 ~./bashrc is sourced every time a new or interactive bash shell is started by the user, or when they run a bash script. – used for user’s functions, aliases, etc. No, Atom is a GUI editor – I myself use vim (not quite a power user yet 😉 at the CLI. I’m surprised the version of golang in the Centos 7 repo was new enough for you. I’m getting back into python, and annoyingly centos 7 is still running on python2, so I am looking at moving to Fedora 22 (server edition) for my dev servers. It has python2 and python3 installed side by side, and the packages are about as bleeding edge as you want to get. Btw– if you are still running proxmox you should check out the proxmox 4.0 beta. It’s running on a 3.19 kernel currently, which a nice step up from the 2.6 kernel that they are using in v.3.4. I’ve been using it to test some 10Gb networking and some other stuff, and it has been stable so far. Hey, I heard pedants were welcome here! Nice piece Jon. I concur with Will that ~/.bash_profile is the correct place for USER path modifications. My understanding (where CentOS is concerned anyway) and based on the notes in the /etc/profile file, is that any required GLOBAL path modifications should go in a file here: /etc/profile.d/some_name.sh. Thanks for the feedback and the tips! I’m going to give the bath profile a go tonight and see if it works as expected on my end.